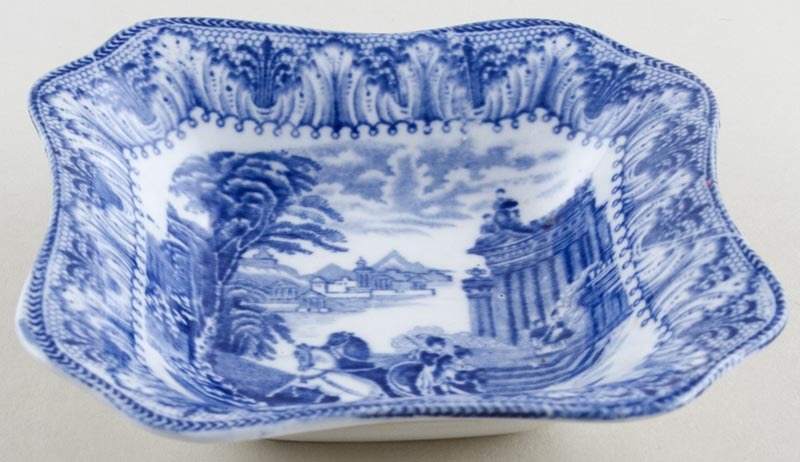 Small nut or pickle dish. Pretty shape with indented rim. Backstamp: Cauldon England. Light crazing with a tiny tiny nick to the rim.